One of the best books written on digital control, by an authority in the field of controls. I found this book simple to understand even with no experience in digital control. Each chapter has lots of worked examples and practice problems, enough to get you comfortable with the chapter concepts. The book is written in a very clear and readable way. All topics explanations and examples are simple to understand. 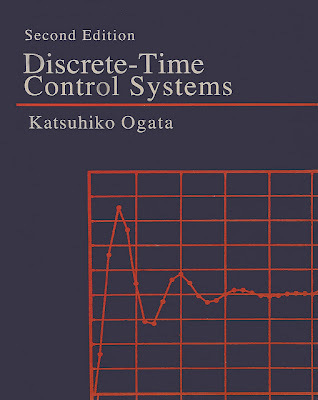 A comprehensive treatment of the analysis and design of discrete-time control systems which provides a gradual development of the theory by emphasizing basic concepts and avoiding highly mathematical arguments. The book features comprehensive treatment of pole placement, state observer design, and quadratic optimal control. 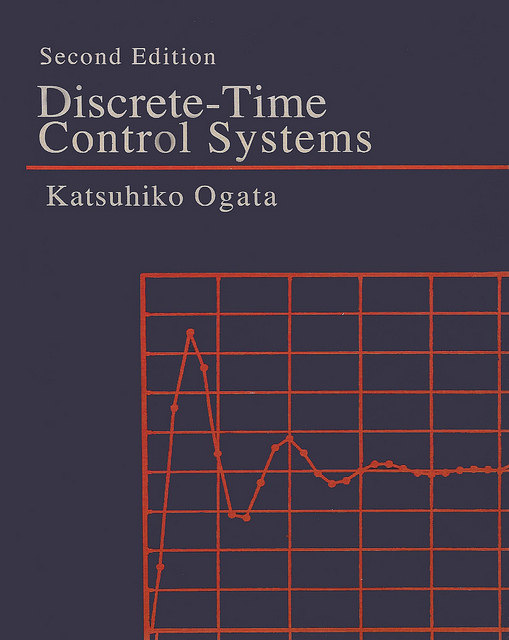 I love this book, and together with Katsuhiko Ogata's Modern Control Systems Engineering, makes an excellent reference for control systems study at undergraduate level. Hope this semester has more importance than any semester in engineering ; The bridge between your percentages in all the four years. some irritating subjects like Microprocessors and VLSI design makes u to feel tensed about your fate in external examinations . But be careful with those two..easy to pass but difficult to understand . Hope all of you might have completed your project works and started preparing for the LAST WORLD CUP of Engineering . Most of us didnt care of the subjects in 4-2 but some are very good scoring subjects which rise your percentage graph. After experiencing the life attempting "UNKNOWN" questions in JNTU exams...i finally came up with a conclusion that how our question paper is going to set..
Take an example of 4-1 end exams ..November-2011..First go through the exam which happened previous to the exam (applied to regular and supply exams) IE. check whether are any questions coming in common..if not go for November 2010...repeat the process for two years previous papers.. The Schedule of Exam world-cup 2012 has been announced and every one has started to wash up their grey cells and inject some subject to their brains via ALL IN ONES and some blessed students with NOTES and Text books. Team TechZone comes with an innovative idea. Go through the previous years papers(two-years back) and start your preparation with the help of syllabus paper and a standard text book (wwhat your faculty told u in d class) and start preparing for 5 units. for students who want just pass marks i suggest three units. After completing a unit syllabus, go thru previous years papers and answer them.This is the best way to prepare yourself for the Examinations.